In compliance with Bulgarian legislation, the persons for whom no conviction reports have been issued are eligible to submit an application and receive electronic Conviction Status Certificate. The electronic Conviction Status Certificate is valid for 6 months and has the same legal value as the paper certificate. The electronic Conviction Status Certificate is available through а web site of the Bulgarian Ministry of Justice via an access code. The data registered in the electronic Conviction Status Certificate verifies the status of the person at the date of issue. 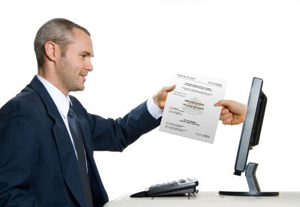 For identification purposes, the applicant’s name on the electronic Conviction Status Certificate is visualized both in Bulgarian and English as it appears on the government-issued identification document.